The musician's estranged wife passed away on Friday, Aug. 17. Deven Davis, the estranged wife of Korn singer Jonathan Davis, died at the age of 39 on Friday, according to multiple reports. TMZ notes that the musician filed a restraining order against Ms. Davis on the same day as her death, Aug. 17. Jonathan and Deven married in 2004, and the pair had two kids together. 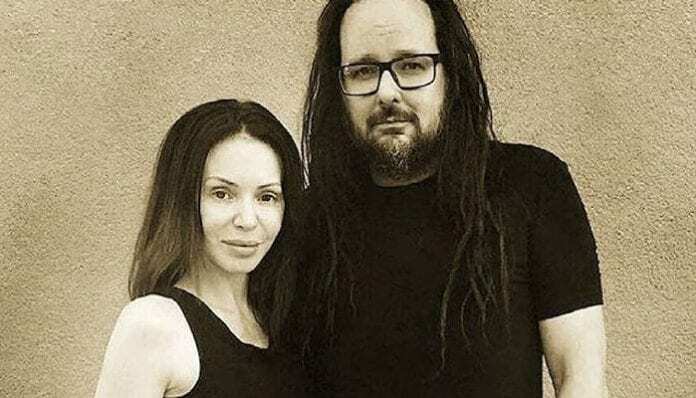 The Korn leader filed for divorce in 2016, citing irreconcilable differences. The restraining order filed on Friday was issued for domestic violence, and a court declaration claims that Deven was “constantly under the influence of the nitrous oxide, cocaine, and Norco.” Deven was last reported to be in a sober home, according to the court documents, but went missing in the week leading to her death.